Everyone is looking for ways to improve their business, but too often the focus is put on internal changes to discover how existing partners can help bring about success. However, looking outside of your current operations is often the key to growth. Third-party logistics providers (3PL services) provide value-added services in logistics to help companies that manufacture or sell products find big wins. Logistics service providers are more than glorified warehouses—they provide a variety of features that can give your supply chain a competitive edge. If you want to add value to your supply chain, here are some of the features you can enjoy when working with a 3PL provider. 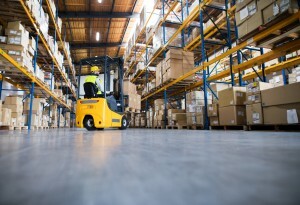 3PL providers with years of experience have connections and resources to allow for the most efficient supply chain processes. They can leverage relationships and have a knowledge of industry trends and volume discounts. This results in lower overhead costs and a wider range of service options to help you manage your costs when your service needs change. When you outsource your order fulfillment, you can reduce labour costs on your end. You won’t need to staff a warehouse and hire workers to handle different tasks. Depending on the size of your operation, you may save a serious amount of capital. Instead of paying individual warehouse staff, your 3PL provider will take care of managing your warehouse and distribution processes with their own trained employees. By staying lean this way, you can focus on the core parts of your business, while your provider takes care of the rest. The seamless flow of goods is necessary for successful production lines and the satisfaction of customers and online shoppers. 3PL providers can help shippers meet these requirements by making sure shipments are accurate and timely. With robust technology, 3PL providers can have a detailed view of everything that goes on within the supply chain. Visibility helps drivers follow the best routes to deliver products and helps warehouse staff move inventory along to enable faster shipping. Especially in e-commerce business, a solid reverse logistics solution is a must-have if you want to reduce waste and increase revenue. One of the supply chain value-added services a 3PL provider can offer is a reverse logistics solution. You will be able to salvage raw materials and recycle or reuse returned products. The core goal of this services is to give the original producer cost-savings by making the most of products and materials and allowing them to run a more environmentally-friendly supply chain with less waste. Conversational transparency is one of the most important factors that affects unity and understanding in warehousing and distribution. Some IT systems allow consumers to view their product’s movement from shipping to delivery to arrival, which also helps manage expectations and improve customer service. Seeing the movement of your goods and products can impact your sustainability goals and boost your competitive edge by reducing the waste of revenue. Transparency features within the organization can include stock level notifications, order updates, shipping times, returns processing information, and more. By leaning on the expertise and experience of a 3PL provider, you will be able to negotiate the lowest rates for picking, packing, and shipping methods. As a result, you can reduce the costs for shipping product orders to customers. You will notice that your conversion rates increase, and the rate of shopping cart abandonment will decrease. Outsourcing logistics will save your company valuable time and money. 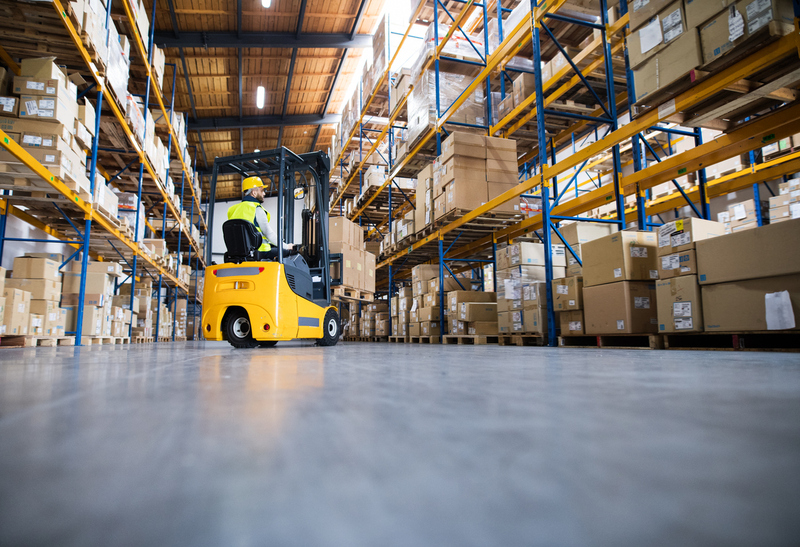 3PL providers can eliminate your need to have multiple warehouse spaces, technology, transportation, and staff, as they will have the necessary tools to execute the logistics process. They can save you from making costly mistakes and allow you to grow your global network with higher return on investment and lower risk. You won’t need to worry about paperwork, billing, staffing, training, and optimization to get your goods to your customers—they will handle all of it and keep you up to date. E-commerce has created more global business opportunities for retailers and companies that manufacture products. It has provided access to global customers and expanded revenue streams. However, it can lead to the need of more staff and time dedicated to understanding complex legal compliance needs and trade requirements. 3PL providers can help companies understand these changes and provide the tools to help you meet expectations. Working with a 3PL provider can help you deal with challenges that come along the way in terms of costs, logistics, customer satisfaction, and changing expectations from suppliers and consumers. With their experience and connections, they can find you quick and effective solutions to problems like these that may hinder your success. They will also bring you many advantages such as supply chain management software and technology that increases visibility and communication between you and everyone in your business network. If you are looking for the right company to partner with, Lean Supply Solutions is the answer. We rise to the challenge of meeting our clients’ needs through our services which include product fulfillment, warehousing and distribution, e-commerce fulfillment, warehouse pick and pack, order fulfillment, and more. To learn more about outsourcing to our 3PL logistics in Toronto, or to ask any questions, contact us today. As technology develops, quality management systems (QMS) also change. It’s important to evolve and adapt to newer technologies and systems to meet customer demands more efficiently and stay ahead of the competition. Companies need to find ways to reduce manufacturing and production rework and repairs to save money and achieve higher quality. Reducing manufacturing scrap requires proper planning and implementing certain strategies to enhance value in your supply chain. Here are some ways you can achieve quality scrap management. Manufacturing rework is defined as the process of correcting defective, failed, or non-conforming items after inspection. This process includes responsibilities like disassembly, repair, replacement, reassembly, and more. The main causes of defective or problematic products include machine malfunction or human error, design change not communicated, improperly implemented design change, and product damaged in transit or during use. When this happens, the manufacturer or supplier will need to sort, rework, wash, and repackage the product. The document that reports products for rework will list the necessary tools and process to complete the rework. Reworks aren’t always complicated either. They can be as simple as replenishing the paint that was scraped off a product during shipping and improving the shipping process to prevent further products from being damaged. It is always ideal to repair or alter a product, but sometimes you have to throw products away. If this is the case, you should try to reduce the amount of waste as much as possible. Ask yourself: Can you avoid dumping fees? Can the product or parts of it be refurbished or repurposed? Are the parts recyclable? As much as you try to avoid it, rework is sometimes inevitable, but it should not use all of your time and energy. QMS can help you understand what you need to do to evolve and keep up with the compliance standards. Most industries have mandatory requirements from government agencies, and all companies have customer requirements they must abide by. For most, the manufacturer needs to show detailed compliance records on a timely, accurate, and consistent basis. This process is highly time-consuming for companies who still use paper-systems and spreadsheets. The risk of errors is also higher with these systems. By implementing QMS, you will be more efficient at understanding the compliance requirements and standards, and better able to ensure accuracy, shared responsibility, compliance, and quality. Applications or software that track data entered by workers work as a one-stop shop for all information, and reduces errors made during the manufacturing process. Companies that rely on manual paperwork need to upgrade their systems to automated QMS tracking software to be more efficient in today’s high-tech environment. This will help reduce a multi-step cross-verification process, and simplify data management. QMS offers features like real-time data analysis, which allows for faster problem solving. They ensure that process monitoring occurs and provides tools for corrective actions. Some QMS programs take it a step further and implement advanced product quality planning (APQP) to help create products and processes designed for successful results. Reducing defects and wasted products will reduce your costs as well. The less products you need to spend time on reworking or scrapping, the more profit you will make from selling quality items to your customers. Paper files must be backed up digitally, but with the incredible features and improvements in technology, paper documentation doesn’t cut it. If you haven’t already invested in digital software and filing systems, now is the time. Managing your drawings, bills of materials, and operating procedures manually wastes time and leaves you at the risk of falling behind. Using digitized files will make tracking revisions easier and ensure your staff are referencing the most current information. Changes can cause serious disruptions to your production process if they are not handled properly. They can affect the flow of production, required training, scheduling, total cost, and more. You can avoid this issue by making design changes after a production run, rather than in the middle. This will also make tracking product revision easier for you, your supplier, and your customers. To minimize costs associated with rework, you need to establish continuous improvement. By adopting a philosophy of ensuring your management of products is working its best, you can begin transforming your operations. Lean manufacturing practices will help you reduce waste and improve the quality of your products. Product rework and scrap management is something no company wants, but needs. These processes are fundamental to a good supply chain, and the use of QMS can help you provide consistent, quality products. Product rework helps companies deal with errors and problems more efficiently, while saving time and money. Managing these responsibilities on your own may be too much to handle, so working with a third-party logistics provider is a wise choice. Lean Supply Solutions rises to the challenge of meeting our clients’ needs through our services which include product fulfillment, retail distribution, manufacturing logistics, supply chain management (SCM), transportation and delivery, repackaging and packaging, product rework and repair, and more! Let us help you reduce product rework and scrapping, so you can get the most value out of your time. Contact us today to learn more about how we can help you.